Standalone e-commerce reporting is incomplete. You deserve the real big picture. 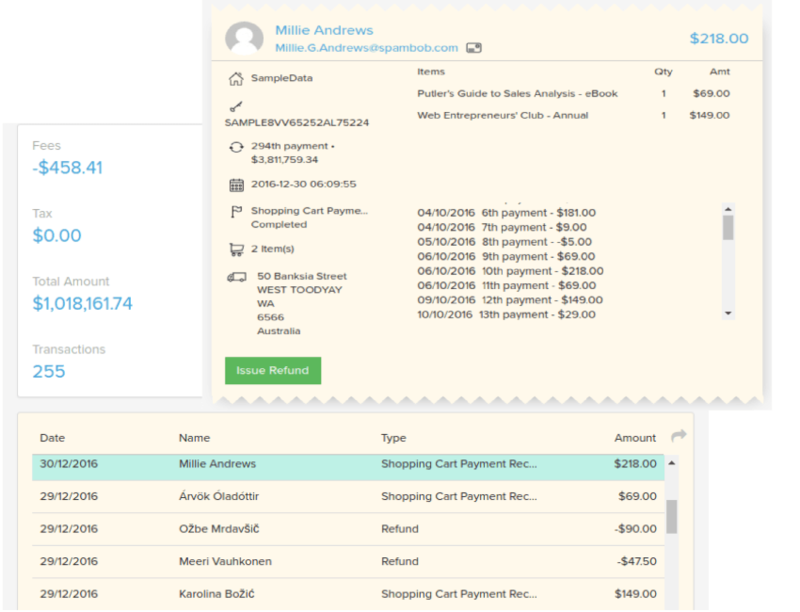 Putler is the only software that accurately combines multiple payment gateways, shopping carts and website analytics. Get accurate reports for your online business by bringing together data from all your payment gateways, shopping carts and google analytics accounts. You can’t rely on a single source of data. For accurate business reporting, you must consolidate. 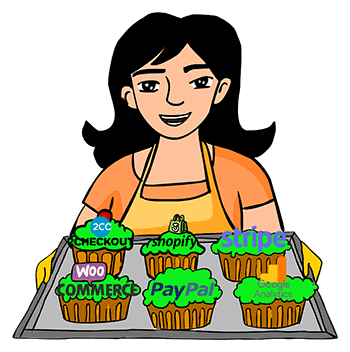 Accurately consolidate your favourite platform – PayPal, Stripe, Braintree, 2Checkout, Shopify, WooCommerce, Magento, eBay and many more. And if your preferred platform isn’t supported yet, you can still bring in your data through our Inbound API! Most people set up Google Analytics but do not really use it. Putler extracts information from Analytics and combines it with e-commerce transactions data. It’s a lot easier, faster – and useful. Putler removes duplicate transactions and combines information so you and your team get a single source of truth – numbers that are a lot more accurate than reporting provided by other solutions or even manual reconciliations. Dollars, Euros, Yens, Rupees… different currencies won’t break your reporting anymore. Putler automatically converts currencies to give you a global, single currency dashboard. 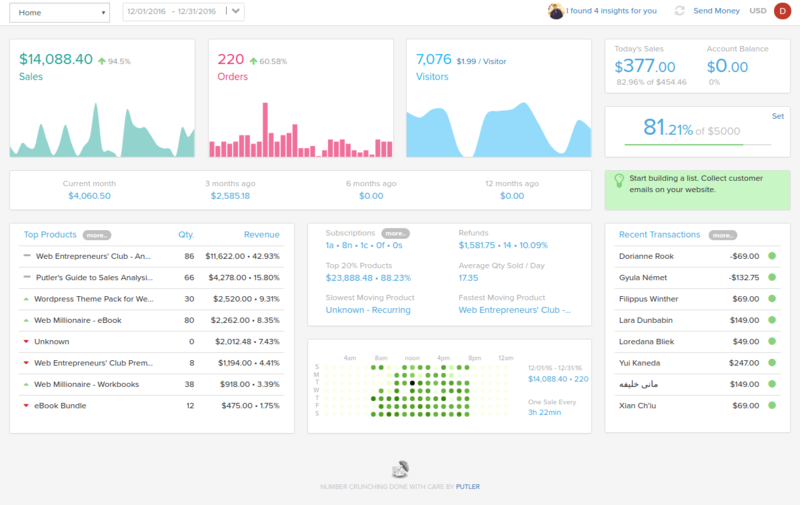 We built Putler because no other software was doing what we wanted. 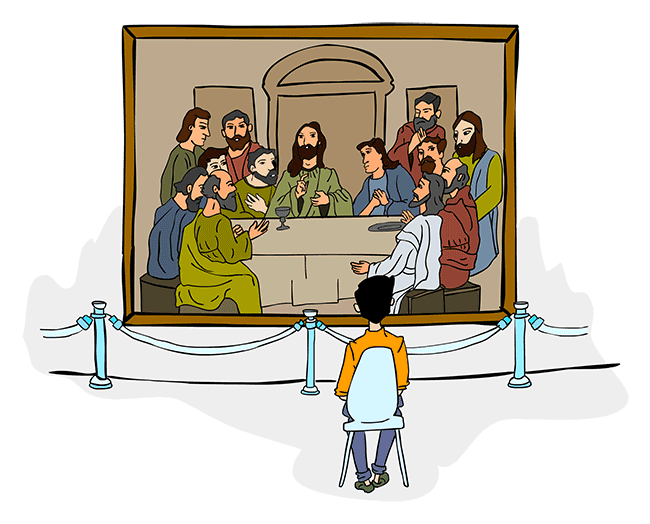 Other tools did not provide basic aggregation, consolidation or simple charts. 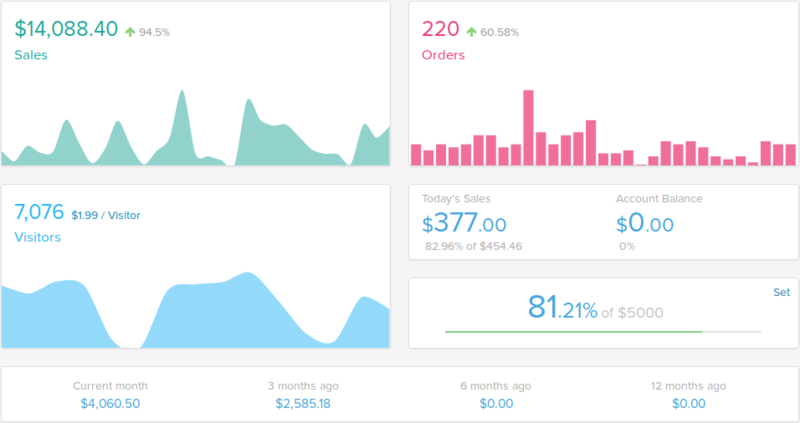 What’s my month-to-date revenue? Per visitor revenue? Which products are selling best? What are some recent transactions? How’s the trend looking? Want to find out product wise sales breakdown? Top customers? Transaction fees you paid this month? Details of each individual order, customer or product? 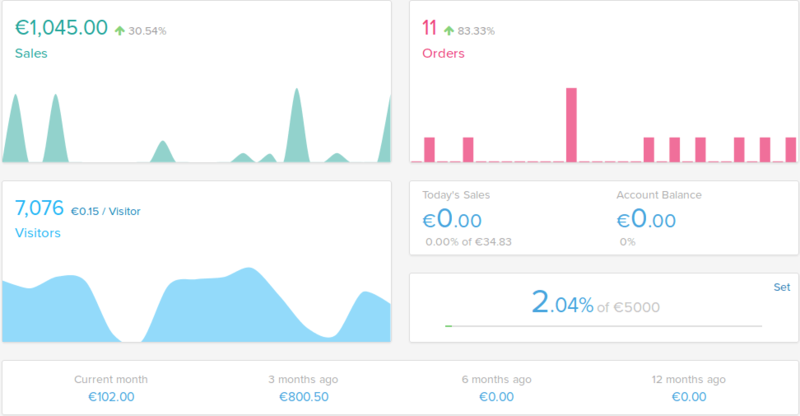 Jump to Products, Customers and Transactions dashboards for even more useful data. Most businesses are sitting on a treasure chest of data; but lack tools to unlock it. Help us usher your business to a new era of insight driven growth.